Broccoli is a very nutritious vegetable in the cabbage family whose large flowerhead is eaten as a vegetable. Broccoli is an edible green flowering head that is eaten as a vegetable. The plant belongs to the species that include cabbage, cauliflower, kale, Brussels sprouts, collard greens, savoy, and kohlrabi. Consumed raw or cooked, with common methods of preparation being boiled, steamed, microwaved, and stir-fried. Although boiling broccoli is a common way or preparation, vital nutrients can be lost, which is why the other methods are preferred. Here are the seven health benefits of broccoli. 1. Broccoli could help improve your digestive system. Many Western diets do not provide enough dietary fiber. Dietary fiber is vital for normal body functions since it can increase the weight and size of your stool to decrease your risk of constipation. A high fiber diet can also decrease the risk of developing hemorrhoids, and small patches in your colon called diverticular disease. Broccoli is a good source dietary fiber with 2.6 grams of fiber for every 100 grams of broccoli. Broccoli could also reduce colon inflammation and potentially reduce the risk of colon cancer. 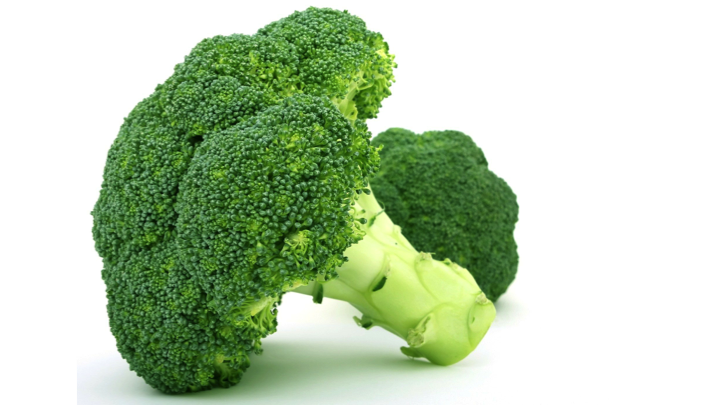 When broccoli is broken down, a chemical called indolocarbazole become available. Indolocarbazole binds to then activates another compound called aryl hydrocarbon receptor, which helps treat medical conditions like leaky gut. Leaky guts can lead to health complications like more inadequate absorption of nutrients. 2. Broccoli could help improve your immune system. Broccoli is packed with phytochemicals like glucobrassicin; carotenoids, e.g., zeaxanthin and beta-carotene; and kaempferol, a flavonoid. According to the American Institute for Cancer Research, phytochemicals provide plants with color, odor, and flavor. Also, these chemicals can help stimulate the immune system. 3. Broccoli could help decrease the risk of breast cancer. The American Institute for Cancer Research suggests that phytochemicals could slow the growth rate of cancer, cells, reduce oxidative damage to cells that can spark cancer, and prevent DNA damage. Cruciferous vegetables like broccoli contain isothiocyanates like sulforaphane and indole-3-carbinol that can act as antioxidants, reducing oxidative stress. Also, estrogen levels may be affected with can help reduce the risk of breast cancer. 4. Broccoli could help reduce the risk of liver complications. Research has suggested that eating broccoli three to five times per week may reduce the risk of liver cancer as well as help reversing the development of alcoholic and nonalcoholic fatty liver disease. These diseases can lead to a malfunction of the liver and a liver cancer with a high mortality rate called hepatocellular carcinoma. 5. Broccoli may possess anti-inflammatory benefits. Recent research has suggested that the sulforaphane in broccoli could help prevent and even slow the progression of osteoarthritis. Osteoarthritis is the most common form of arthritis where the joints “wear and tear” leading to pain, stiffness, and pain. 6. Broccoli could help improve brain health. Broccoli contains three essential nutrients that may help with clear thinking: vitamin K, choline, and folate. They have been suggested to prevent Alzheimer’s disease and depression. Also, sulforaphane in broccoli has been shown to improve spatial memory. 7. Broccoli could protect your eyes. Broccoli contains vital nutrients for your eyes including zeaxanthin, vitamin A, phosphorus, B-vitamin complex, vitamin C, and vitamin E. These vitamins and antioxidants could help protect the eyes from macular degeneration and cataracts. 3. Hubbard, T. D., Murray, I. A., Nichols, R. G., Cassel, K., Podolsky, M., Kuzu, G., ... & Perdew, G. H. (2017). Dietary broccoli impacts microbial community structure and attenuates chemically induced colitis in mice in an Ah receptor dependent manner. Journal of functional foods, 37, 685-698. 4. Chen, Y. J., Wallig, M. A., & Jeffery, E. H. (2016). Dietary broccoli lessens development of fatty liver and liver cancer in mice given diethylnitrosamine and fed a western or control diet. The Journal of nutrition, 146(3), 542-550. 5. Davidson, R. K., Jupp, O., Ferrars, R., Kay, C. D., Culley, K. L., Norton, R., ... & Clark, I. M. (2013). Sulforaphane Represses Matrix‐Degrading Proteases and Protects Cartilage From Destruction In Vitro and In Vivo. Arthritis & Rheumatology, 65(12), 3130-3140. 6. Okereke, O. I., Cook, N. R., Albert, C. M., Van Denburgh, M., Buring, J. E., & Manson, J. E. (2015). Effect of long-term supplementation with folic acid and B vitamins on risk of depression in older women. The British Journal of Psychiatry, 206(4), 324-331. 7. Huang, Y. M., Dou, H. L., Huang, F. F., Xu, X. R., Zou, Z. Y., Lu, X. R., & Lin, X. M. (2014). Changes following supplementation with lutein and zeaxanthin in retinal function in eyes with early age-related macular degeneration: a randomised, double-blind, placebo-controlled trial. British Journal of Ophthalmology, bjophthalmol-2014. 8. Christen, W. G., Glynn, R. J., Chew, E. Y., Albert, C. M., & Manson, J. E. (2016). Folic acid, vitamin B6, and vitamin B12 in combination and age-related cataract in a randomized trial of women. Ophthalmic epidemiology, 23(1), 32-39.